People tend to rely on air conditioning units to keep their home, and offices cool especially when the temperature starts to rise. If you do not have access to a central air unit or you just moved into your new home and are thinking of installing a centralized air conditioning in your home to get you through hot summer days, be prepared to shell out a minimum of $6,000 up to a whopping $15,000. Yes, it would cost you that much because pricing depends on the complexity and size of the job. Not to mention other repairs and added pieces of equipment to support the installation such as ducts, exhaust, or filters. The best possible solution is to install a non-centralized air conditioning unit. Aside from less work involved, it will also be a lot cheaper. The next problem is choosing between window-mounted and portable air conditioning unit. Most people only prefer to have an air conditioner installed in parts of the house where there is not enough natural ventilation and where people gather most of the time. The Honeywell HL series portable air conditioner combines 3-in-1 technology into one luscious and sleek body, cooling and dehumidifying areas up to 400 square feet. This portable air conditioner has a cooling capacity of 9000 BTU, which means it can cool a 400 sq. Ft room. It comes with a full set of window cooling kit with a flexible exhaust hose that is pre-assembled for easier installation. The design is compact and can fit any room. You can take advantage of the smooth gliding wheels that allow easy mobility and take this AC unit from one place to another when necessary. What’s good about this model is that it is so easy to clean and maintain. It has an auto-evaporation feature so you won’t have to drain collected water often. The built-in dehumidifier eliminates up to 80.1 pints of water per day with endless drain for continuous use even when unattended. There are 3 traditional fan speeds you can choose from and a sleep mode for flexibility and comfort all through the night. This portable ac unit has only 45dB, so you do not have to worry about the noise level. Choose your setting in the digital control panel and effortlessly change it as you please using the remote control. As for energy efficiency, you can switch on the 24-hour energy-saving timer. The portable ac is built with self-evaporative cooling technology that cools the condenser coils with water from the air. Capable of supplying both warm and cold air, this combo unit is built for year-round use. Della’s portable air conditioner has 12,000 BTU of cooling power that is strong enough to keep any room in your house consistently cool. The motorized air discharge is adjustable and automatically opens when you turn the unit on and closes when you turn it off. You also have an option to set it to oscillate for even distribution of air around the room. The unit is surprisingly quiet for its cooling power with a fully-functional digital panel control, which includes temperature settings, speed adjustments, and mode selection. Control the settings from across the room using its remote control or program your preferred set time for shut off or turn on the 24-hour timer. Rest easy that you and your family will only get a high-performing compressor cooling system that has an adequate air filter that removes dust particles to expel cooler and cleaner air. WiFi empowered Remote Control with Mobile App, the JHS portable air cooler allows you to control your unit from anywhere in the world straight from your smartphone. If you are looking to buy a portable air conditioner with added high-tech features, this might be the one for you. The newly upgraded version boasts of a mighty 10,000 BTU cooling power with three optional functions to satisfy your needs. You can set the air conditioning settings, choose from the 2 fan speeds options or turn the dehumidifier on to keep your room cool and dry. Not only that, the WiFi feature allows you to control your portable air conditioner anywhere directly from your smartphone via the JHS Smart App. You can create your preferred cooling schedule and monitor your air conditioner through the App. Other features include an auto-evaporation or manual drainage system, LED digital control panel, 24-hour timer, a dehumidifying capacity of 50.7 pints per day, and a noise level of 54 dB. It may look a little bulky, but it has exceptional portability. With the 4 all-direction stainless castors and two handles, you can easily roll the AC unit anywhere you want. Uses powerful dual hose design that cools 40% quicker than single hosed models. The EdgeStar is capable of supplying both hot and cold air, allowing the air conditioner to be year-round use. An intelligent machine makes our life more comfortable. In case of power interruption, this portable air conditioner automatically restarts the unit back to its settings when the power comes back on. Not only that, this model is so versatile it can even double as a heater during the cold season. That is a guaranteed year-round comfort for you and your family. It has a dual hose system with an easy to use window kit included. Just remove the cap from the vent kit, connect the vent hose to the exhaust hose and it is good to go. You can program your preferred settings and choose between the 3 fan speeds to cool the room or set the automatic 24-hour timer on or off. This energy efficient portable air conditioner and heater with an impressive 11.2 EER can quickly cool and heat a room up to 525 sq. Ft without consuming too much power and producing too much noise. Three operational modes: air conditioner, fan or dehumidifier. This unit can cool up to a 500 square feet space (ambient temperature and humidity may influence optimum performance. Cooling a 500 sq. Ft room is easy with this Whynter ARC.14S portable air conditioner that has 14,000 BTU power. The hassle-free installation and operation ensure that you remain comfortable throughout the day. The 24-hour timer and three operational modes: air conditioner, fan, and the dehumidifier can be programmed from across the room using the remote control. You have full control over the thermostat and set it how you want it without worrying about damaging the environment. Whynter is going green with this eco-friendly, CFC and lead-free, and energy-efficient portable air conditioner. It has non-ozone-depleting R410a refrigerant and power consumption of about 1250 Watts. 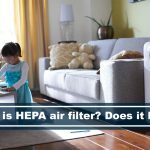 Not only does this machine keep the environment safe from harmful chemicals, but it also keeps the air in the room cool and clean through its carbon air filter and washable pre-filter. You can lay back and relax as you breathe in the fresh and cold air even when there is a power outage. The auto restart feature will restore your settings when the power comes back on. Minimalistic design portable air conditioner with evaporative system and remote control. Cools rooms up to 150 sq. ft.
Aside from the sleek standout design of LG’s LP0817WSR portable air conditioner, the functionality of this unit is also exceptional. Not only will it blend in with any room interior, but this compact, easy to install, and easy to move AC unit can also cool a room of up to 150 sq. Ft. It has a programmable setting with 24-hour timer and an auto-evaporation system that keep a room cool even when unattended. It is able to collect up to 1.8 pints of moisture, and it comes with a user-friendly window installation kit. The air vent technology features an auto swing to ensure that air is circulated evenly, leaving no hot spots around the room. Like most air-generating machine, you can expect some white noise that is tolerable and softer than regular bedroom fan. The RolliCool is the best portable air conditioner allowing you to complete your smart home setup by pairing your room air conditioner with Amazon Alexa. Pairing this Alexa compatible ac unit, Alexa responds to voice commands to help keep your home comfortable and cool. Keeping up with its brand name, this portable air conditioner offers excellent mobility and brings the cool literally and figuratively. With all its high-tech features, you can consider this as a smart air conditioner. You can pair it with the ever-reliable assistant named, Alexa. Pair it with Amazon Alexa and watch it perform as you please. It responds to voice commands and can be controlled using the RolliCool app directly from your smartphone. Conveniently switch modes, control temperature, set timer, and more from anywhere in the world, or you can also use the good old remote control when your phone is charging. This high-performing machine with 14000 BTU of power not only cools and dehumidify any room, but it can also bring you some warmth during the cold season. As if all the features mentioned are not cool enough, we can still add the title eco-friendly. It has an R410A refrigerant that does not harm the environment and a carbon filter for cleaner air. Washable filters are also included. Portable room air conditioner with two-in-one functionality and single hose evaporative system. 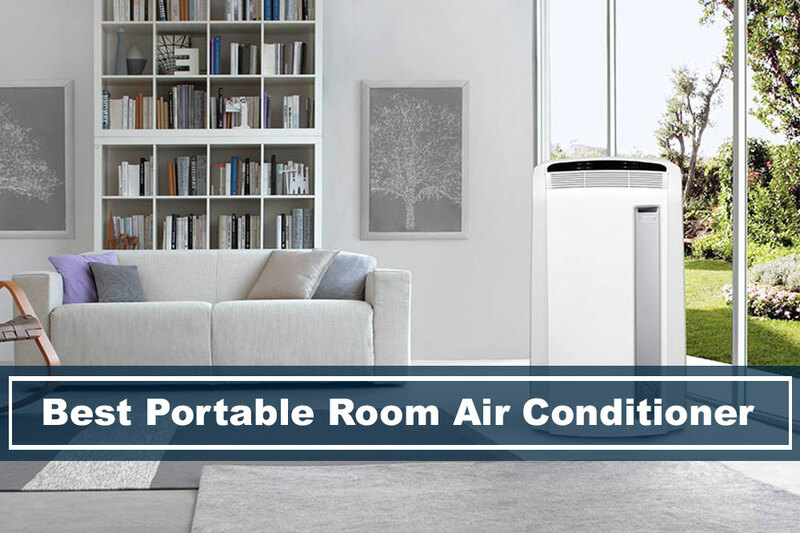 Create a more comfortable sitting room for your family and friends with Koldfront’s PAC1202W portable air conditioner with 12000 BTU power. It is compact, easy to use, and convenient. It can cool and dehumidify a 400 sq.ft room. You can expect clean and cold air even on continuous and unattended use. It can remove up to 107 pints of air moisture per day, and you never have to worry about any overflow due to condensation. You can rely on the gravity drain and evaporative system to automatically discharge collected water. The eco and sleep mode feature ensures that the room you are in stays cool all night without stressing about wasting energy. It only has an 8.9 EER and an auto swing feature that keeps the air in your room in motion. When the eco and sleep mode feature is turned on, it will increase the temperature for an hour and hold it for as long as 7 hours to keep you comfortable as you sleep. You have full control over the functions and view the settings on the digital display. Even the remote control has a digital display that you can conveniently use so you can see the setting without moving out of your bed or couch. Honeywell MN10CESBB Great with rooms up to 450 sq. ft.
Easy to maintain air filter with quiet operation. The Honeywell MN10CESBB has a smart digital thermostat system, giving you simple and precise room climate control. Another model from the brand we love, this portable air conditioner is powerful but operates quietly. With its 10000 BTU power, It can cool a room of up to 450 sq. Ft. The built-in dehumidifier features a non-stop drain system that continuously removes up to 80.1 pints of moisture per day, so you do not have to drain the bucket manually. The washable filtration system is its most notable feature. It filters the air and remove impurities, extends the life of the air conditioner, and at the same time protecting the compressor in times of thermal overload. This means that you can enjoy some peace of mind knowing that you invested in a product that is sturdy and safe to use especially around small children. It operates so quietly that the only time you remember it is on is when you feel the cold air. You can quickly set it and forget. The smart digital thermostat system ensures that the machine adapts to your setting no matter the climate outside. The 3-in-1 function is accessible and can be easily seen in-front through the feather touch control panel and display. Installation is hassle-free, and the self-evaporation system guarantees bucketless operation. It has a dual drainage method for extra flexibility. A bucketless portable room a/c unit that combines cooling, fan, dehumidification and heater modes with a simple quiet and noiseless operation. Black and Decker is known for its full line of functional appliances that can withstand the test of time. This portable air conditioner strives to achieve the same goal: to provide all year round comfort while it lasts. It can give you cool and fresh air during hot summer days and warmth during the cold season. Enjoy in the simplicity of the electric controls and LED digital display that allows you to have full control over the settings and temperature. The 4-in-1 feature combines cooling, fan speed selection, dehumidifier, and heater that operates on an approximately 75dB noise level. It also uses the eco-friendly R410A refrigerant to help protect the environment. It comes with an easy to install window kit, an exhaust hose measuring 4 feet 11 inches, manual guide, and remote control. The Avallon portable cooling unit has a dehumidifying mode as well as intelligent auto mode, giving your room a cool, dry, comfortable environment. A useful but energy-efficient portable air conditioner should be able to do its job of cooling a room without causing your electricity bill to shoot up against the roof. For that reason alone, you might want to consider buying Avallon’s APAC140C. This portable air conditioner can cool a room up to 525 sq. Ft. The dual hose exhaust allows more air absorption, better cooling power, and extra stable air pressure, which contributes to a quicker cooling rate. If you already set your desired temperature, the intelligent mode will automatically adjust the speed of the fan to adapt to the settings and keep the area cool. All settings can be managed anywhere in the room using the included remote control. You can choose from 3 fan speed settings, turn the intelligent mode on, or dehumidify the air. It has the power to get rid of up to 80 pints of moisture per day. With the self-evaporating system feature, you do not have to put so much effort into maintaining this portable air conditioner by manually draining the collected moisture often. Its built-in automatic drain system can do that for you. Both wall-mounted and portable air conditioner are effective in creating a more comfortable room temperature, especially during summer. Both are also more energy efficient and less expensive to operate when used only when needed compared to centralized air conditioning unit. However, each has an advantage and disadvantages. Here are some of them. If you have a smaller living space and you want to avoid clutter, a window-mounted air conditioner is a better option for you. Window type AC is quite harder to install and it usually just fits a standard sized window. A window-mounted air conditioner is more energy efficient than a portable air conditioner. It is less expensive than a portable AC unit. When it comes to noise level, window type AC is kind of louder than portable ones. There is no water to dispose of because the moisture is vented internally. The best thing about portable air conditioner is mobility. It is independent, and you can move it around the house where you need it the most. The exhaust hoses are easier to install than a window-mounted air conditioner. A portable air conditioner unit is a little more expensive than a window-mounted AC unit of similar cooling capacity. The larger the unit, the more expensive it will be. You won’t find a portable air conditioner unit with EER star rating for energy efficiency because there are no specific federal regulations to determine the energy efficiency of portable AC units. You will have to empty the collected water in the dedicated water tray or tank regularly. The noise level of portable AC units vary. Some are as quiet as a fan while some are a little louder. If you have already decided to go for a portable air conditioner, these are some of the things you should consider before you purchase one. The cooling power of portable AC units is measured in BTU or British Thermal Units per hour. A higher BTU means higher cooling power, more considerable room coverage, and a bigger portable AC unit. Although the size determines the cooling power of the unit, you must not solely depend on the scale because you have a big room that needs cooling. Some environmental factors may affect the effectivity of the cooling process even when you are using a large portable AC unit to cool the room adequately. Factors such as poor room insulation and a room with several appliances that produce heat should also be considered. In these cases, you might have to buy an AC unit that has a higher BTU. The hot air a portable AC produces must be expelled out of their hoses as it cools the room. Choosing which room you want to place the unit is entirely up to you, but it is best that you set it near a window for proper ventilation. Unlike window-mounted air conditioners, you must drain the water collected manually to empty the tank or tray. You can attach a hose to drain the water out or take the unit outside for removing and cleaning. However, some high-tech portable AC models feature a self-evaporative design which automatically removes collected moisture, so users do not have to empty the tank frequently. Any machine that regulates airflow should be expected to create some level of noise. If this is a significant concern for you, you should first compare the decibel (dB) levels of the models before buying one. Energy efficiency affects both the environment and your pocket. If you are aiming for one that will not do much harm to the environment and will not cause your monthly bill to skyrocket, always look at the EER or Energy Efficiency Ratio that tells you the amount of BTUs used per power watt. Energy efficient units usually have a higher EER. How can I calculate the appropriate BTU level that I need to cool a specific room? This is an estimated BTU calculation for a room that has a standard 8-foot ceiling. Keep in mind that even with the right BTU size, other factors may affect the effectivity of the cooling process. How do single-hose design portable air conditioners differ from double-hose design units? If my window has a screen, do I have to remove it when I use the window kit? What about a sliding glass window? You can opt to remove the screen of your window especially if the exhaust hose is short and cannot be extended, but most portable air conditioners can work on traditional vertical sash windows or double-hung windows. If you have a sliding glass window, it could be a little bit complicated. You might have to use two window kits and make some improvisions to make it work.